We are dedicated to operate licensed, multi-location, Montessori Curriculum based daycare, childcare, preschool, group daycare, multi-age childcare and before/after school child care facilities, committed in providing stimulating and positive learning environment for your children. We welcome you all…and advocate an “open door” policy to encourage regular communications in between parents and our ECE licensed, AMI Montessori educators. Wise Owl is approved by the Ministry of Children and Family Developments to administer all provincially available funding and/or subsidy programs in supporting affordable childcare in our local communities. All of our posted fees are exclusive of available fee reductions to families that may include CCOF and/or ACCB fee reductions! Wise Owl is managed by licensed ECE/AMI MONTESSORI educators, representing over 20 years of child care experience in Europe and Canada. 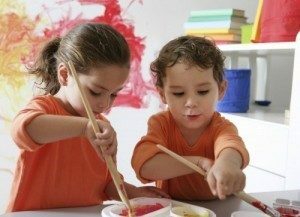 Based on our foundation of public, private and Montessori educational experience in preschool, childcare and daycare services, supplemented with primary ECE and/or AMI Montessori Diplomas, Wise Owl is committed in providing your children with educational centers they can trust, enjoy, improve their social skills and grow. Wise Owl is proud in having provided carefully planned childcare support and/or use of our facilities enabling special needs children to attend and participate in preschool activities since 2008. In the event you may require assistance in exploring how Wise Owl may support/assist your special needs child please contact our Director of Enrollments at (604) 603-4545 to find out more about your available options. Please note we are governed by the Community Care Licensing Regulation Act and our enrollment policy is within strict compliance of same and applicable regulatory bodies, including: Fraser Health Authority and/or Vancouver Coastal Health. Wise Owl employs bonded, ECE certified educators and/or assistants each holding current First Aid Certificates. Each center employs AMI Montessori educators with fluent French and English language skills. In order for self-directed learning to take place, the whole learning environment – room, materials, and social climate – must be supportive of the learner. The teacher provides necessary resources, including opportunities for children to function in a safe and positive atmosphere, thus gaining children’s trust enabling them to try new things and build their self-confidence. Evaluate and determine if our environment is a good fit and safe for your child. To arrange for a visit, please contact us at (604) 603-4545 or by email at; info@wiseowlchildcare.com.